Hair loss is one of the most common problems that affect both men and women. It is normal to lose about 100 strands of hair per day, and a person can lose even more while shampooing. But hair loss becomes a matter of concern when the natural growth cycle of the hair gets disrupted. Male and female pattern baldness are two of the most common causes of hair loss. Hair loss can also be caused by malnutrition, sudden weight loss, excessive physical or emotional stress and certain health conditions such as thyroid disease, autoimmune diseases, lupus, etc. Thankfully, there are a number of remedies using natural ingredients such as apple cider vinegar that can address the problem of hair loss successfully. Is Apple Cider Vinegar Useful for Preventing Hair Loss? Malic acid and the active enzymes present in apple cider vinegar have antiseptic property which prevents the growth of bacterial and yeast infection leading to hair loss. Human hair is acidic in nature with a pH of 4 to 6. Shampooing increases the pH factor of the hair. Apple cider vinegar has a pH factor of 4 that helps to restore the natural pH balance of the hair and helps to maintain its protective layer. Apple cider vinegar is an effective cleansing agent which removes product residue, chemicals, dead cells and dirt from the scalp. This helps to open up the clogged hair follicles and increases hair growth. Apple cider vinegar increases blood circulation to the hair follicles which in turn supplies essential nutrients to the follicle cells that strengthens the roots and promotes hair growth. How to Use Apple Cider Vinegar for Hair Loss? Apple cider vinegar can be in different methods to increase hair strength and reduce hair loss. We have mentioned them below. Apple cider vinegar alone can be used in diluted from as an effective natural treatment to prevent hair loss. Combine 1/2 cup each of organic apple cider vinegar and lukewarm water. While the hair still wet, rinse your hair with the diluted ACV solution. Leave it on for 10 to 15 minutes while massaging your scalp occasionally. Then rinse your hair with water. Repeat this remedy 2 to 3 times a week. Note – You can also use undiluted apple cider vinegar for this treatment to make it even more effective. But for first-time users it is best to dilute the apple cider vinegar with water to avoid adverse reactions. Being an emollient, honey helps to condition the hair and make it soft and smooth. The antibacterial and antiseptic properties of honey prevent hair loss caused by microbial activity at the hair roots. Take 1/4 cup each of apple cider vinegar and water in a container. Secure the lid of the container and shake it well to mix all the ingredients. Apply this mixture to wet hair and scalp. Leave it on for 30 to 40 minutes. Wash off with water and a mild shampoo. Follow this process 3 to 4 times every week. Rosemary essential oil prevents hair loss by stimulating cell division and dilating the blood vessels which in turn promotes the hair follicles to produce new hair growth. Take 1 tablespoon each of rosemary oil, 1/8 cup of apple cider vinegar and 3/4 cup of water in a bowl. Apply this mixture thoroughly all over the scalp and hair. Massage your scalp for 5 to 10 minutes. Leave the application for another 30 minutes and then wash your hair with a mild shampoo. Repeat this method 2 to 3 times every week. Note – You can add olive oil or coconut oil for added benefits. Capsaicin present in cayenne pepper triggers the hair follicles in the scalp by increasing blood flow to the hair roots and creates a favourable environment for hair growth. Take 2 tablespoons of apple cider vinegar in a bowl and add 2 to 3 drops of cayenne pepper extract to it. Mix it well and apply it to your scalp and problem areas. Leave it on for an hour and then rinse your scalp and hair with water. Repeat this remedy once every day for a few months. Lauric acid present in coconut oil binds to the hair proteins and prevents the hair strands from breakage. The antioxidants and nutrients in coconut oil penetrate the hair shaft and boost hair growth. Antifungal and antibacterial properties of coconut oil prevent hair loss caused by fungal infections. Take 2 tablespoons of organic coconut oil and 1 tablespoon of apple cider vinegar in a bowl. Give it a quick stir and apply this mixture to your scalp and hair. Massage your hair with your finger tips for 5 minutes. Leave it on for another 20 to 30 minutes and then wash off with a mild shampoo. Reapply this hair mask 2 to 3 times every week. Baking soda is a powerful cleansing agent that removes product residues from your scalp that clogs the follicles and thins the hair. It also removes chlorine that can damage the hair and cause hair fall. Add 1 tablespoon each of baking soda and apple cider vinegar to 3 tablespoons of water. Mix it thoroughly to make a paste and apply it to your wet hair and scalp. Leave it on for 10 minutes and then wash your hair with lukewarm water. Repeat this process 2 to 3 times every week. The moisturizing effect of olive oil nourishes the scalp and prevents dandruff which is one of the main causes of hair loss. Olive oil also strengthens the hair strands and minimizes hair breakage. Take 2 tablespoons of olive oil and add 1 tablespoon of apple cider vinegar to it. Mix it using a spoon and use this mixture to massage your scalp and hair for 5 minutes. Leave it on for an hour and then wash off with a mild shampoo. Follow this process 1 to 2 times every week. The antibiotic, anti-allergic and antiseptic properties of sage prevent hair loss caused by fungal infections or allergic reactions. It is also a potent source of magnesium, potassium, zinc, B-vitamins and vitamin C – all of which promote healthy hair growth. Take 2 tablespoons of dried sage leaves in a container and pour 2 cups of boiling water over it. Let it steep for 10 to 15 minutes and then strain the tea. Add 1 tablespoon of apple cider vinegar to it. Use this tea to rinse your scalp and hair. Wrap your hair with a towel and wait for 30 minutes. Wash and rinse your hair as usual. Repeat this treatment every other day. The mild alkaline property of aloe vera restores the pH of the scalp to its natural level and helps to fight off dandruff which is one of the main causes of hair loss. Take 2 tablespoons of aloe vera gel and add a tablespoon of apple cider vinegar to it. Mix it using a spoon and apply it generously all over your scalp and hair. Leave it on for 30 minutes and then wash off with water and a mild shampoo. Follow this hair treatment 3 to 4 times a week. Amla or Indian Gooseberry is a rich source of vitamin C. Deficiency of vitamin C is one of the most common reasons for hair loss. Amla helps to correct this deficiency. Take a few gooseberries and discard the seeds. Crush them to form a paste. Extract the juice from the pulp and add 1 tablespoons of apple cider vinegar to it. Mix it using a spoon and apply it to your scalp and hair. Leave it on for an hour and wash off with water. When selecting apple cider vinegar for your remedies, make sure you opt for an organic, raw and unfiltered variety that includes the cloudy sediment at the bottom, known as “The Mother” which contains all the beneficial enzymes. Apple cider vinegar can dry out the hair and scalp, so those who already have dry hair should use apple cider vinegar in diluted from. 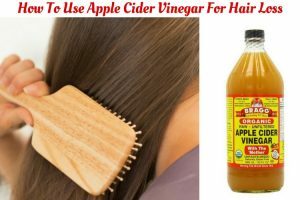 Don’t worry about the smell of apple cider vinegar; it goes away once the hair dries out. Don’t use apple cider vinegar remedies on oiled hair. The oil will prevent the apple cider vinegar from penetrating into the scalp. Massage your scalp and hair with warm coconut or olive oil 2 to 3 times a week to improve blood circulation to the scalp. Reduce stress by practicing meditation, yoga and other relaxing exercises. Follow a balanced and healthy diet rich of fruits, vegetables, proteins, whole grains and healthy fats. Limit the use of chemical-laden hair products, hair color and heated styling tools. Try out these effective natural remedies for hair loss using apple cider vinegar and say goodbye to hair loss permanently. Please share your hair loss remedies, tips and suggestions with us in the comments section below. love it my head itched all the time. so far i am seeing result thank you! 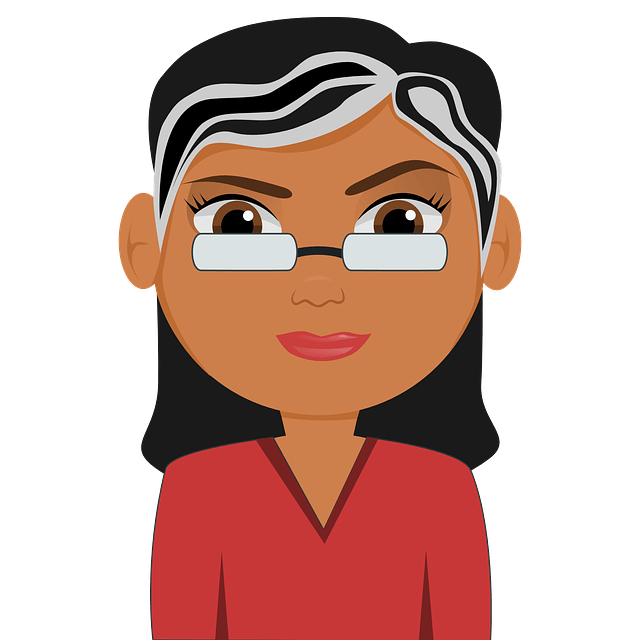 For the past two years i was very much worried about my hair loss……..still now i didn’t find any solution ? Try any apple cider vinegar method mentioned above in the article. Apart from that consume nutritional food rich in vitamin b12, zinc, magnesium and omega fatty acids, reduce stress levels, drink plenty of water and avoid using hair styling products until the hair fall reduces. I am suffering from hairfall from past 2 years and i am doing treatment for the hairfall from 6 months but found nothing improved..please help to regrow my hairs back and reduce hairfall and have healthy hairs. Try any method mentioned above in the article regularly. Apart from that drink plenty of water to keep scalp hydrated, eat nutritional food rich in zinc and biotin. Reduce sugar, fried, processed and packaged foods. You can try 1st remedy mentioned above in the article. I’m going through protein overload right now due to coconut oil application which has made my hair very dry, brittle, thin and straw-like. My natural hair is thick and shiny but now they’re all gone. My hair now is not what it used to be and I’m so worried about it. If I do acv rinse twice a week then will my hair bounce back to normal? In tips and precautions, they have mentioned oil will prevent the apple cider vinegar from penetrating into the scalp. Also, for dry hair, they have written Apple cider vinegar can dry out the hair and scalp, so those who already have dry hair should use apple cider vinegar in diluted from. Then why have they mentioned mix rosemary oil /coconut oil with apple cider in the list of their remedies. So confusing! i have a itchy scalp past two months and hair fall is too much. Iam a hypo thyroid patient for 10 years.normally i hav medium hair with medium thickness,but now my hair has become so thin. Will Aloevera with coconut oil massage siut to my hair also i have Aloevera plant in my house. Please reply quickly since iam so woried about my hair. Will non organic ACV work.? Any recommendations for postpartum hair loss?